The Transformative Power of Dance: Part I: Is Dance Important? If you are a serious devotee of the art of dance in any capacity, you have probably experienced the frustration of discovering at various points in your life that the general public, perhaps even people close to you, might not understand your world or the depth of its importance to you. Or, perhaps more subtly, I can’t tell you how many times I have been approached by people in social settings who begin the conversation with almost giddy excitement, “Jesse, you’re a dance teacher?! That’s so cool! I’ve been trying to get my boyfriend to do ballroom dance with me. Can we take lessons from you?” Of course, when I reply honestly, “Well…I don’t do ballroom dance.” The look on the person’s face always hovers somewhere in between disappointment and confusion as if they are debating whether not to ask out loud: “Well, then what on earth DO you do at your studio?” As if concert dance, or classical dance, or traditional dance–there really is no completely useful or inclusive title for what we do–is so unheard of that it’s not what they imagined when meeting a dance teacher for the first time. I’m not enraged by these misunderstandings. . . most of the time. Rather, I just find myself feeling truly astonished that this world of dance–this stunningly beautiful, impossibly demanding, and so satisfying ancient artform doesn’t mean the same thing to the public at large that it might mean to me or to the dance people I love and respect. When I say with both humility AND pride, “I am a dance teacher,” I imagine all the years I spent spending hours at the studio every day growing up, all those competitions and travels; I imagine all the dreams I’ve held since I were little, acting out the entire Nutcracker by myself in the kitchen after I was given the score on audiotape; I imagine how dance is what I spend my days working on–that I have created and built a business and career on it. I imagine the young students who are just starting to develop enough traction to progress really quickly as a result of my efforts. 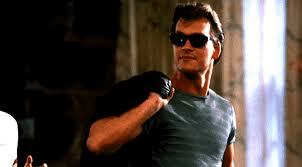 I imagine all these things and so it feels like a slap in the face when I realized the person with whom I’m speaking didn’t imagine any of those things, but rather thought of someone like Johnny Castle from Dirty Dancing. Of course, I don’t entirely object to that image either! But I’m sure you get my point. So back to my original question. . . Is dance important? To us it is. And so it is. Tune in for my next topic: What does dance offer us?